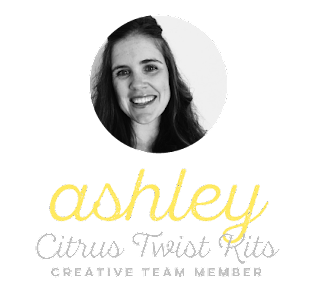 Citrus Twist Kits | Blog : Love. Plain & Simple. This is my last post with CT - and I can't even be sad. I have loved my year on the design team creating & hopefully inspiring you. The CT February Kit is here and it has us all feeling the love. 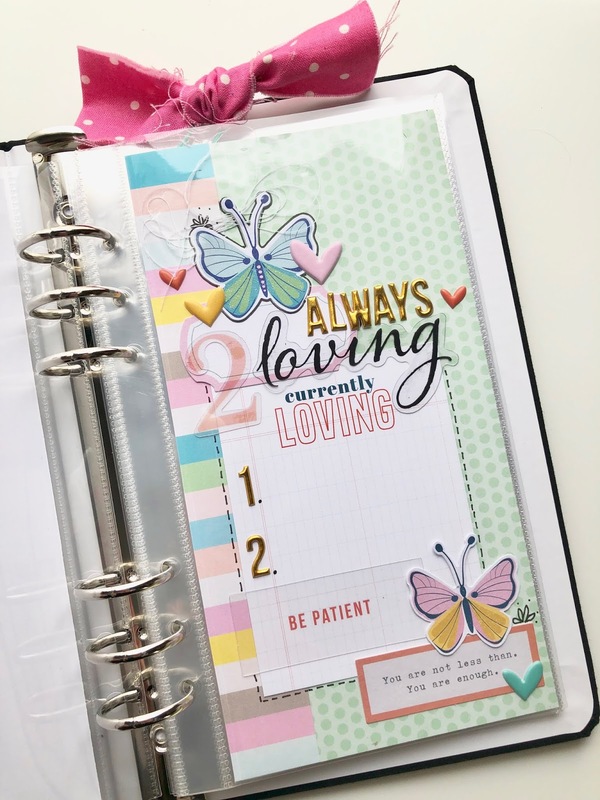 The soft colors, the floral pieces, the patterned papers, the puffy heart stickers, and pops of gold - it all, inspires LOVE! I loved this stripe paper so much I had a hard time cutting into it. 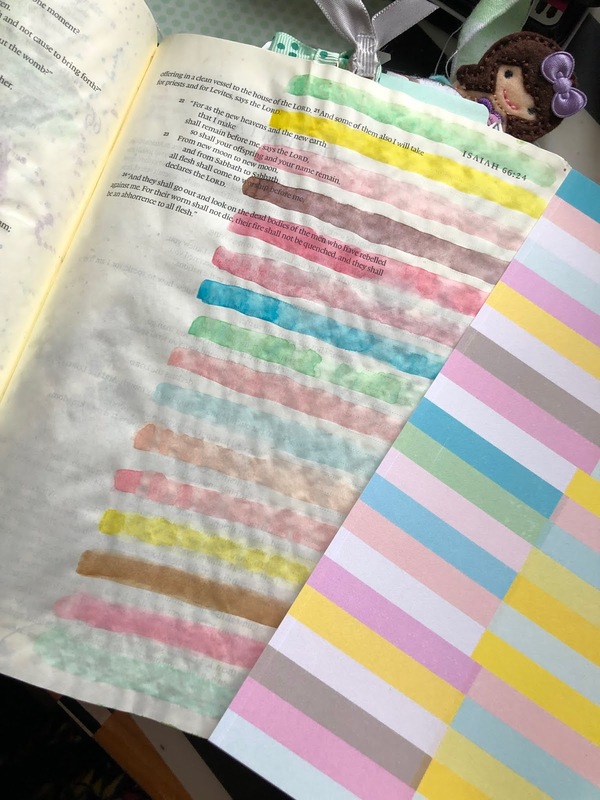 I didn't have enough to cover my whole Bible page and use it in my TN album so I decided to echo the colors in watercolor. The pattern of color has no pattern and I love that. My brain designs in repetition so it was a good challenge to let go a bit. I mean, who is laying all these pastels and then BAM using a soft chocolate brown - not me, but I LOVE IT! 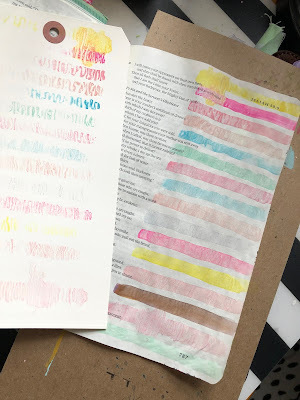 One trick I do when watercolor is to dry the paint with a piece of paper in between to help flatten the page. You can see above how crinkly it starts. You have to wait until the page is almost dry - but don't wait too long otherwise it will be dry and won't cooperate. This time, instead of just using a scratch paper I used the JUMBO tag that came in the kit. AGAIN, I LOVE that stripe - had to use it again. The watercolor leftovers made a cool pattern on the tag that I can use for another project/ another page. Here is a peek at my coordinating album page. 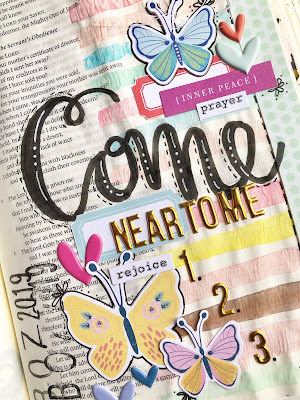 I love that I have more room to journal in the album than I do in my Bible. They complement each other so well! 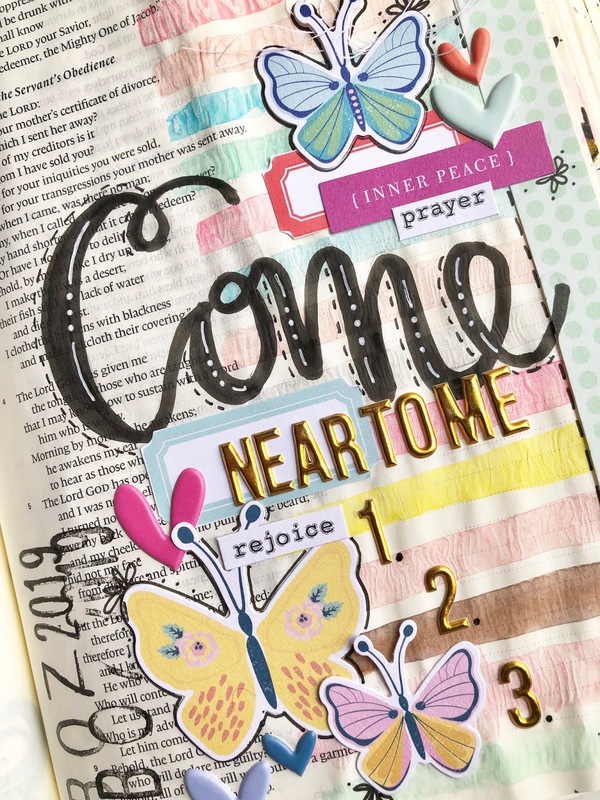 I hand lettered the COME - but everything else is from the Kit! YA. wowsers is right. Loving my time blogging for you. 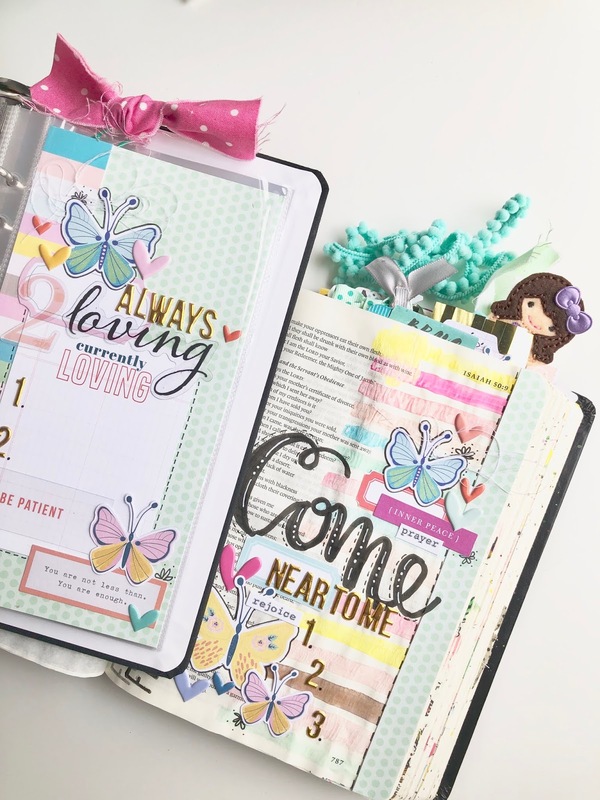 Loving crafting with Citrus Twist with you. 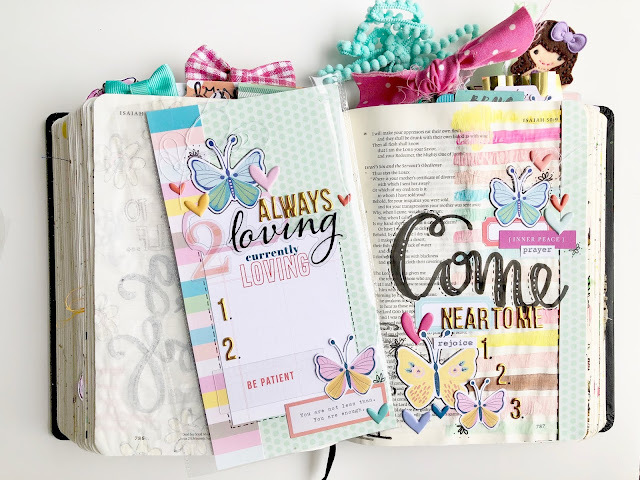 Loving that scrapping can be so easy with these kits!